Last week I posted that some one listed and sold 100 toilet paper rolls. Well guess what, there is something you can do with those rolls. Check out Curbly.com’s DIY post on Toilet Paper Totes. The original idea and post can be found on Aunt Peaches, which is where the photo above came from. I have to say this is a clever idea. However, I think I will save my own rolls instead of buying them on Ebay. This entry was posted in Featuring Others and tagged toilet paper by Karen Grosz. Bookmark the permalink. Wouldn’t take long at all. 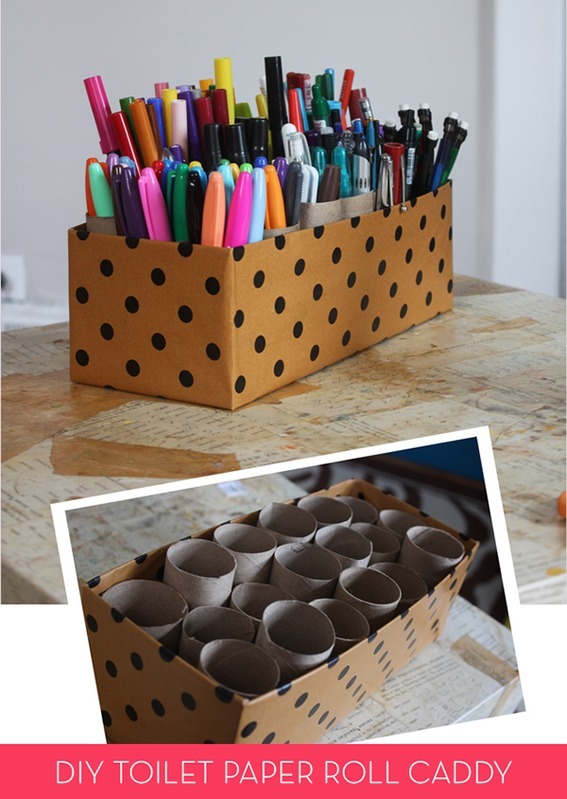 It might work for you when you get your room organized.